Thoughts on software development, Digital Humanities, the ancient world, and whatever else crosses my radar. All original content herein is licensed under a Creative Commons Attribution license. Install Djatoka. Incidentally, in order to get this in the queue for installation on our systems, I had to make Djatoka work on Tomcat 6. The binary doesn't work out of the box, but when I rebuilt it on my system (RHEL 5), it worked fine. Copy the adore-djatoka WAR into your Tomcat webapps directory. Follow the instructions on the Djatoka site to start the webapp. 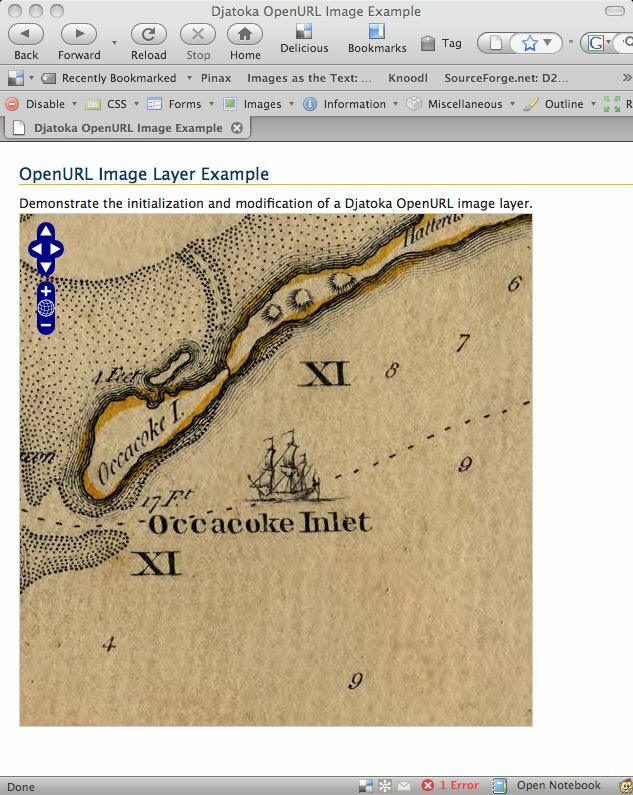 Grab a copy of OpenLayers. Put the OpenURL.js file in lib/OpenLayers/Layer/ and run the build.py script. 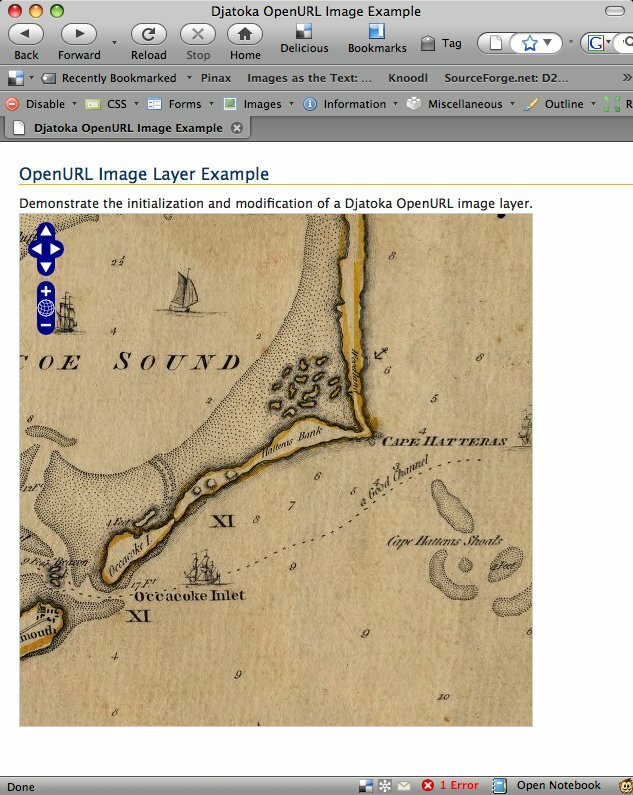 To just run the demo, copy the djatoka.html, the OpenLayers.js you just built, and the .css files from OpenLayers/theme/ and from the examples/ directory, as well as the OpenLayers control images from OpenLayers/img into the adore-djatoka directory in webapps. You should then be able to access the djatoka.html file and see the demo. This all comes with no guarantees, of course. It seems to work quite well with the JPEG2000 images I've tested, and the tiling means that each request of Djatoka consumes an equal amount of resources. I've run into OutOfMemoryErrors when requesting full-size images, but this method loads them without any problem. Update (2009-01-05 14:37): I've posted a fix to the OpenURL.js script for a bug pointed out to me by John Fereira on the djatoka-devel list. If you grabbed a copy before now, you should update. 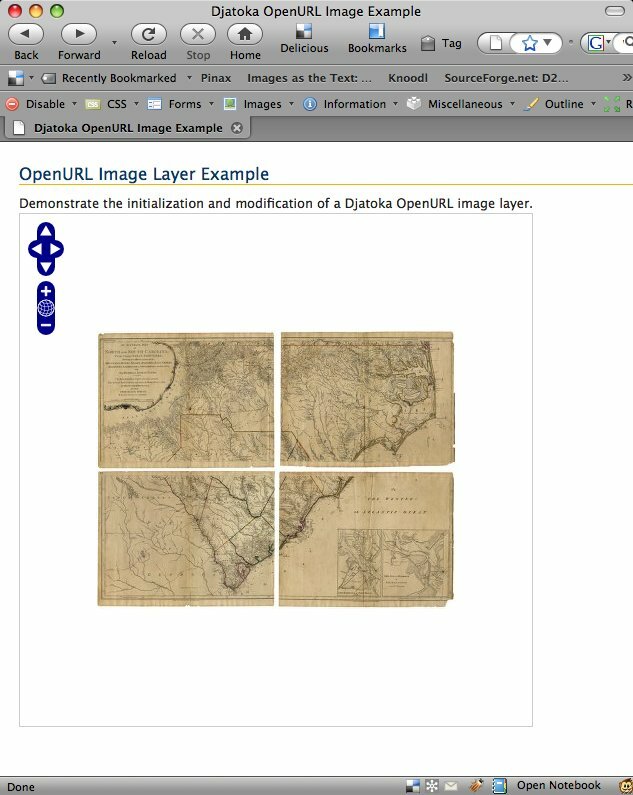 Have you explored how one would put the image served by Djatoka in the OpenLayers geospatial context? One can create a single image layer with bounds, but I am wondering how OpenLayers could handle the dynamic tile rendering spatially. I have followed all steps what you mentioned here. It works well in my case. I was wondering if you know how to render jp2 image file from local machine. Also, I do not understand how adore-djatoka/WEB-INF/classes/imgIndex.txt file works. Please post some ideas if you have regarding these issues. Again, thanks for posting this excellent blog.